Lafayette, LA- Cité des Arts announces production of Tom Stoppard's comedy “The Real Inspector Hound,” opening the first week of October. “The Real Inspector Hound" is a one-hour, one-act play written by Tom Stoppard. The plot follows two theatre critics, Moon and Birdboot, as they review a ludicrous set-up of a country house murder mystery. Unfortunately for them, they soon become involved in the action. The cast features Danny Ladmirault and Rudy Eisenzopf as two ill-fated theatre critics. Both actors have impressive resumes as professional television actors. Lauren Greene Whyte, as Cynthia, has also produced/directed several classical comedies at Cité. The cast is rounded out by Lafayette theater veterans Nina McCune, Gus Fontenot, Jade Peart, Edward deMahy and Roger Peak. 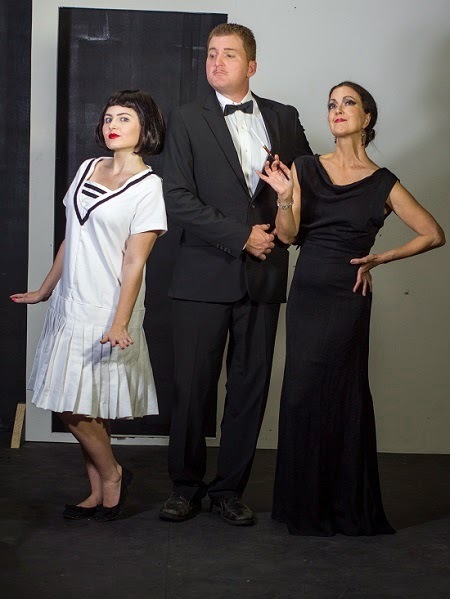 “The Real Inspector Hound” will run for 9 performances: October 3, 4, 5, 10, 11, 12, 17, 18 & 19. Friday and Saturday performances begin at 7:30 PM. Sunday matinee performances begin at 2:00 PM. Tickets are $15 at the box office inside Cité or online at www.citedesarts.org.